The Indian armed forces, notably the Army, are among the world’s busiest and most experienced. From nation consolidation starting from the day the country was partitioned and accorded Independence by the British colonialists to post-Independence nation sustenance operations that have continued for the last 66 years, the Indian armed forces have participated in a wide range of military engagements, both internal and external. The Army’s nation consolidation operations that lasted for the first 14 years after India attained Independence started with handling communal violence of horrific proportions the moment the country was partitioned on 14th August 1947. Three months later, a truncated post-Independence Indian Army was pushed into fighting a tribal invasion backed by the Pakistani Army in Jammu and Kashmir (1947-48). Alongwith, the Army was entrusted with force posturing against the Nawab of Junagadh (1947) and a ‘police action’ against the Nawab of Hyderabad (1948) after both the nawabs refused to join the dominion of India. The nation consolidation phase ended in 1961 with the armed forces evicting Portuguese colonisers from Goa following a brief military action. But then, nation sustenance operations too had started with the Army being pushed into internal security operations in tribal Nagaland during the mid-1950s. Since then, the Army has fought rebels, insurgents and separatists in most of the north eastern states that have included Manipur, Mizoram and Assam in addition to Nagaland, and terrorism in Punjab. For almost two-and-a-half decades now, the Army continues to fight Pakistan’s insidious low cost proxy war in Jammu and Kashmir. The Indian armed forces have fought wars with China and Pakistan; been wrongfully pushed into fighting another country’s war in Sri Lanka; been deployed in 46 UN peace support operations; and been ordered to conduct controversial operations with grave consequences such as Operation Blue Star that involved storming the Golden Temple to evict an armed militia headed by a man who once enjoyed the patronage of some key members of the ruling political party (Congress) at the Centre . In almost all cases, India’s internal wars have been the result of, to put it mildly, political and administrative mismanagement for which both politicians and civil administrators have unfairly gone unaccounted. And yet it is the armed forces which have had to pay a price each time. For, hundreds of Army soldiers have lost their lives and limbs in numerous internal and external military engagements over the last 66 years. Such is the irony in the land of the Buddha and ahimsa that more soldiers have died in internal wars and insurgencies than in fighting foreign armies. In addition to these internal wars, the Army has been engaged in numerous other internal security duties and aid to civil power duties – all consequences of substandard governance – that have ranged from quelling communal riots to maintaining essential services such as water supply, telephone communications and civil air traffic control in the wake of strikes by government staff. But where do the armed forces stand in their own country? Recounting several recent events in the country’s contemporary military history starting with the Indian armed forces’controversial military engagement (Operation Pawan) in Sri Lanka from July 1987 to March 1990, General Malik has drawn from his first hand experiences to provide an inside view of some key military events and the lessons that are to be drawn from it. He has then gone on to most importantly analyse key issues afflicting India’s decision making mechanism all of which would be of interest to policy makers, defence analysts, political scientists, students of defence and security studies and the public at large. Sadly, but not surprisingly to any keen observer of Indian defence matters, the issues remain the same notwithstanding India’s long and intense post-Independence history of military engagements. The fundamental issue remains the same – a serious disconnect and dysfunction in civil-military relations, i.e. between the political executive and the armed forces and between the civilian bureaucracy and the armed forces. Referring to Jawaharlal Nehru’s well known disdain and distrust of the military and neglect of defence planning, General Malik points to how India has managed to develop a ‘unique system’ of bureaucratic control over the military through civilian bureaucrats in the Ministry of Defence (MoD) resulting in the steady erosion of involvement of the armed forces leadership in higher defence management and policy planning. 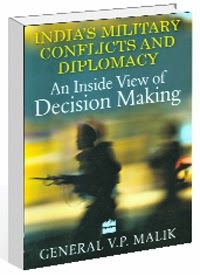 General Malik refers to India’s foremost defence analyst (incidentally a former IAS officer), the late Krishnaswamy Subrahmanyam, who once summed up India’s civil-military structure as one where ‘politicians enjoy power without responsibility, bureaucrats wield power without any accountability, and the military assumes responsibility without any direction’. Along with this is the issue of India’s strategic culture. General Malik points to strategic blunders that have had long standing consequences for the country’s defence – India approached the United Nations during the 1947-48 Kashmir war and agreed to a ceasefire without first evicting all Pakistanis from the state; misjudged the security threat from China’s military takeover of Tibet and then went on to lose the war with China because the assertive political positions were not backed by credible military strength,; returned the strategically important Haji Pir Pass to Pakistan after the 1965 war; returned 93,000 prisoners to Pakistan without an adequate quid pro quo; sent the armed forces into Sri Lanka and put them into harms way without sufficient deliberation, thought and objective only to make them fight against the very people who India had trained; dithered for 24 years before conducting nuclear tests in 1998, and launched a ten month long Operation Parakram in 2001 without a clear objective in the wake of attacks on the Indian Parliament by Pakistani trained terrorists. 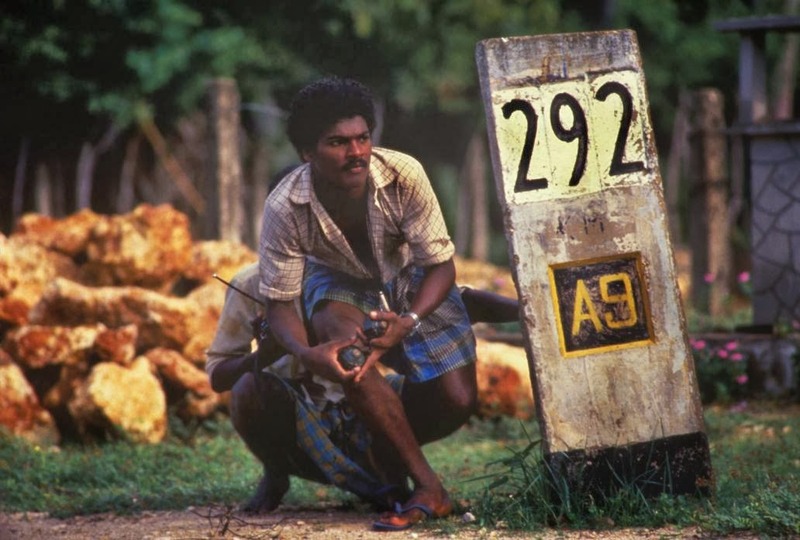 General Malik brings out how the armed forces were kept in the dark about two strategic issues – the May 1998 nuclear tests until just two days prior even though the armed forces are meant to be the user in the event of a nuclear war. Then again, the armed forces were unaware that India had manufactured chemical weapons until the MoD issued a press release announcing that it had destroyed its stock following the signing of the Chemical Weapons Convention. India’s questionable military industrial complex and lack of self reliance is all too evident with the defence research and development organisation (DRDO) remaining high on promise and low on delivery. He has subtly also pointed to problems within the armed forces, notably the Army, and occasions when military advice has not been sound. He recounts the ignorance in which he functioned while posted in the military operations directorate prior to the signing of the accord with Sri Lanka when General Krishnaswamy Sundarji was the Army chief. He quotes Jyotindra Nath Dixit, a former National Security Advisor and also foreign secretary, who in his book Assignment Colombo has revealed how General Sundarji overconfidently stated to Prime Minister Rajiv Gandhi that the LTTE would be dealt with in a matter of a few weeks in case the latter reneged from the accord with Sri Lanka. Incidentally, General Sundarji’s perceived overconfidence has been discussed in a book by General Vijay Kumar Singh, a recently retired Army Chief who has courted much controversy over his age row and his propensity to make controversial public statements. Yet, notwithstanding the flaws, General Malik also points to events where even the existing system has worked. One was Operation Cactus in 1988 wherein the armed forces were tasked at very short notice to fly into Maldives to quell a coup attempt. The operation was a resounding success. The second was during the Kargil war when near complete synergy was evident between the politicians, the bureaucrats and the services. Yet, two very important lessons that come out from these two operations is (a) the need for credible intelligence and (b) that capability cannot be bought with money or built overnight. The Kargil war exposed the lack of preparedness compelling General Malik, who was Army chief at that time, to ‘famously’ say that ‘if a war is thrust upon us we will fight with whatever we have’. The situation was not qualitatively better two-and-a-half years later when the Army was mobilised against Pakistan in December 2001 following the attack on parliament. Like most defence analysts and military officers, General Malik makes a serious case for the need to reform the higher defence management system. Reports prepared by successive committees headed by Arun Singh, K. Subrahmanyam, the Group of Ministers and Naresh Chandra have all pointed to serious flaws in defence management. Yet, these reports remain consigned to the shelf with few recommendations being implemented. Jaswant Singh, a former defence and external affairs minister, explains the problem somewhat bluntly in his book Defending India when he candidly states that the MoD has become the principal destroyer of the military’s morale; the sword arm of the state is being blunted by the state itself; and that all attempts to reform the system have floundered against ‘a rock of ossified thought’ due to deep mutual suspicions, inertia and antipathy. General Malik is replete with suggestions for reform and cites interesting examples from case studies ranging from the armed forces’ operations in Sri Lanka and the Maldives, the May 1998 nuclear tests, the 1999 Kargil war, UN operations in Sierra Leone and several instances of military diplomacy, which again is not being optimised or sufficiently understood by policy makers. The fact is that the Indian armed forces are full of heroics which compare the same if not superior to advanced militaries. Yet, their sacrifices and tales remain understated. How about a Bharat Ratna for the Indian soldier who spends his life paying for the mistakes of the very politicians and administrators who are entrusted with good governance and yet fade away anonymous, unsung and taken for granted. Incredibly, the responsibility for India’s defence, including preparation for defence by the three services, has been vested in the defence secretary, a civilian bureaucrat from the Indian Administrative Service who is posted usually close to retirement and who may never have previously served in the defence ministry. During the Kargil War, the then defence secretary was ignorance personified when he asked General Malik how the Army could be complaining of weapon shortage when he had seen stacks of rifles during a recent visit to an ordnance factory in Jabalpur. His question reflected the pathetic lack of understanding of how wars are fought. In 1998, the pettiness of the bureaucracy came to fore when they refused to treat military officers posted on an assignment of strategic importance to Tajikistan as a foreign posting. The matter was resolved after it was raised with the external affairs minister, who incidentally was a former defence officer.